Pick your own @ Copeland’s: ch ch ch ch ch cherry bombe…. Of course, you’re fastidious about your farmers market fruit but sometimes it’s great to go straight to the source of the goodness. Copeland’s Cherry Ranch in Leona Valley (Palmdale/Santa Clarita adjacent for geography-challenged Go Go’ers) will be opening their gates today for the always-too-short, June-into-July cherry season. 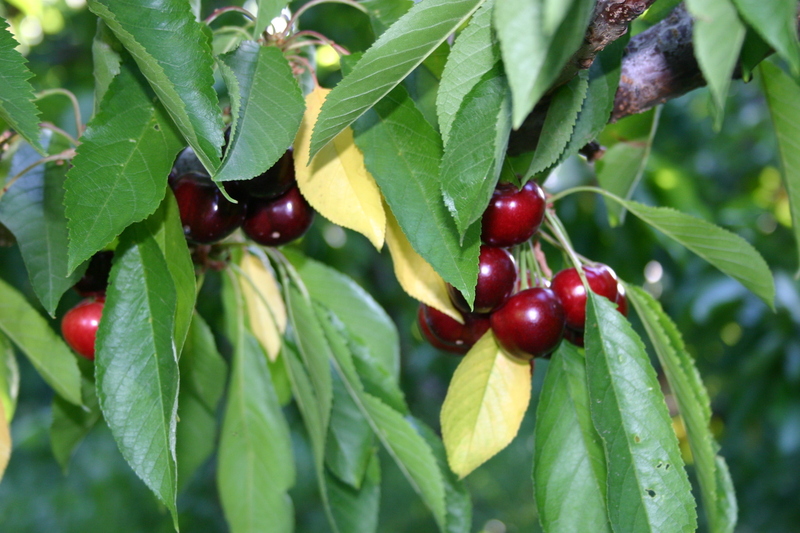 (A crop of cherries can disappear quickly so it’s always a good idea to call before you go to make sure the trees still have fruit.) Owners David and Chari (really!) report that their Tietons (a “‘two-bite’ juicy dark red cherry”) are ripe and big. Utah Giants ripen approximately the same time as Tietons; Bing and golden Rainier varieties usually arrive a week later. Plan your photo-op food opportunities accordingly, Go Go’ers. The Ranch has buckets for picking, water and soda for sale, and sends the cherries off in paper bags; you might want to bring a cooler to keep your cherry babies fresh on the ride home. The orchard is entry-fee-free, and open 7:00AM to 5:00PM. Group picking perk! If you make arrangements beforehand by phone or e-mail, the Copeland’s will open the orchard after 5:00PM if you have a group of 10. It’s a good thing you have nine, cherry loving, sunset appreciating friends on speed-dial…. Pick your own Cherries: $3.50 a lb. 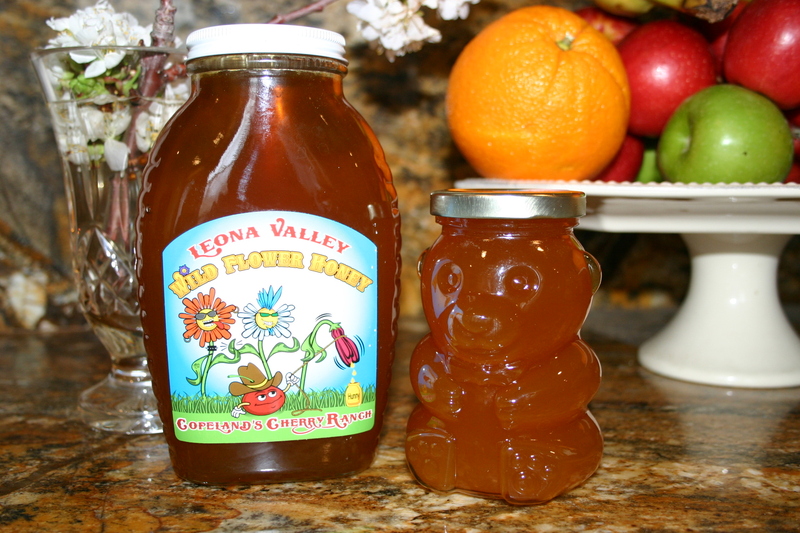 Wildflower honey: $8.00 a lb. Previous Post Hollywood Fringe: it’s a festival, not a tassel. Next Post Gangsta Wagner: Bring on the Valkyries, bring on the funk. You know, my kids must be the only ones in the world who don’t like cherries. What is wrong with them? When you think about it, there’s an awfully high ratio of pit to pulp! Well, they are an awful lot of work, what with the constant pit-spitting and all.